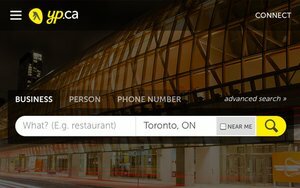 Canadian-based Yellow Pages Ltd, Mediative's parent company, has made an acquisition that will give the company a programmatic and real-time bidding (RTB) ad platform specifically for mobile. The company said it funded the $35 million acquisition of JUICE Mobile, which supports mobile advertising in North America, with on-hand liquidity, and will not impact the company’s ability to repay approximately $100 million of its Secured Notes in 2016. Yellow Pages Canada CEO Julien Billot told BIA/Kelsey that Mediative will consolidate JUICE Mobile to create a multimillion-dollar business until for the Montreal-based publisher. "We believe mobile and programmatic will enter the local space," Billot said. Billot sees local advertising growing from placement of traditional images to more leads generation. To build a successful network of lead generation you need to have a network of publishers and the technology to help them buy the leads efficiently. YP Canada currently generates 62% of its total revenue from digital products, with the rest comes from traditional printed Yellow Pages, according to the report. JUICE Mobile generated about $25 million in revenue in 2015, and Billot expects that amount to double this year. DNA Capital acted as exclusive financial advisors to Yellow Pages on the acquisition of JUICE Mobile. Telos Advisors acted as exclusive financial advisors to JUICE Mobile on its sale to Yellow Pages.